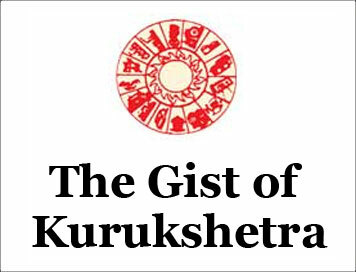 (The Gist of Kurukshetra) KRISHI VIGYAN KENDRA: PROMOTING SCIENTIFIC TEMPER [DECEMBER-2018] | IAS EXAM PORTAL - India's Largest Community for UPSC Exam Aspirants. Innovation in agricultural has always shape the destiny of a promising country like India. The diffusion of science, technology and innovation in agriculture is rather the key to increase. Agricultural production in a sustainable manner. Role of science and technology in agricultural its pertinent to not only ensure national food security, but it also provides farmers to maintain affordability of food items for public. In order to draw true potential of farmers towards the state of the art technologies for the betterment of agriculture, India government has set up a big chain of over 700 Krishi Vigyan Kendras (KVKs) across the country. The concept of Krishi Vigyan Kendra was given by Dr. M.S. Swaminathan, initiator of green revolution in India and the father of Indian agricultural research. Dr, Swaminathan convinced Government of India that there is dire necessity to develop Krishi Vigyan Kendra in each district of India with an objective to cater activities such as technology assessment, refinement and demonstration of technology product. In light of this inspiration, the Government of India established first KVK in Pondicherry during 1974 with the financial support and able guidance of with the financial support and able guidance of Indian Council of Agriculture Research (ICAR). In Kapgari village of West Medinipur district, the first KVK in West Bengal and second in India states and the number continues to grow. Presently, around 695 Krishi Vigyan Kendras are existing in different districts of India. A KVK can be created under a variety of host institution including agricultural universities, state departments, ICAR institutions or NGOs. A KVK must own about 20 hectares of land for the purpose of testing advanced agriculture technology. On Farm Testing of new Technologies: KVK act as a small laboratory and extension centre for agricultural research. Each KVK operators on a small farm to test new technologies related to seed varieties or innovative farming methods, developed by ICAR institutes. Through this platform, new technologies are tested at the local level before being transferred to the farmers. In this way, KVK serves as a centre to try and test forthcoming agricultural technologies. Frontline Demonstration Centre: Because of the KVK’s farm and its proximity to nearby villages, it organizes programmes to show the efficiency of new technologies to be introduced in the farming community. Capacity Building: Because of the KVK’s farm and its proximity to nearby villages, it organizes programmes to show the efficiency of new technologies on farmer fields. Such frontline demonstration outlets showcase new agricultural to be introduced in the farming community. Multi sector support and Advisory Services: Krishi Vigyan Kendras offer support to various private and public initiatives through its local network and expertise. Government research institutes in general, leverage the network of KVK’s while performing surveys with a wide range of farmers. Due to the growing use of ICT, KVK’s have implemented technologies to provide farmers information, such as weather advisories or market pricing, through radio, mobile phones and social media. Apart from above activities, KVKs also conduct training programmes for farmers to update their knowledge and skills in modern agricultural technologies. In this programme, extension personnel are trained to orient target farmers in the frontier areas of agricultural technology for supporting initiatives of public, private and voluntary sector for improving the agricultural economy of the district. The study found that KVKs are playing a prominent role in transferring new technology at field level with beneficial impacts. They have an edge in technology transfer over other service providers by virtue of their having better technical expertise and demonstration units. About 40% farmers reported that they implemented the technology immediately after its dissemination by KVK and that 25% did so from the next agricultural SEASON. With the intervention by KVKs, about 80% of the farmers have modified their agricultural patterns which were related to diversification of crops and changes in cropping pattern, seed planting technique, use of fertilizers and pesticides, changes in cropping pattern, seed planting technique, use of fertilizers and pesticides, changes in machinery used and in water use pattern . More than 50% of the farmers have mechanized their farm operations, however, ownership of farm machinery and technology adoption increased with the sizes of holdings and education level of the farmers. This study predicts a better future of KVKs. It exhibits that through KVKs, agriculture related technological development is getting momentum and the final outcome of this expedition is to support national development through a scientifically tempered approach. The Indian agriculture faces many challenges on a broad perspective. High number of small land holder farmers, lack of supply chain infrastructure and extreme weather conditions are such major challenges. A key strategy in addressing such issues, in addition to policy support and a functioning market, is using science and technology in an innovative manner to better understand and adapt to complex challenges. This approach is called rational and scientific method. Scientific methods comprises of five major components i.e. observation, hypothesis, experimentation analysis and conclusion. The person who applies this approach of thought process in his/her daily life, then it mean he or she is taking rational and justified decision in all walks of his/her life. This temper or attitude is commonly known as scientific temper or attitude. This is form of mindset which can be found both amongst educated and illiterate persons. Farmer is a good example in this context. Those farmers, who are not educated, apply scientific temper and take right decision at the right moment of time in their farming practices. In this to happen, their past experience, observation and analytical mind play a crucial role. If we see the methodology of a KVK, we may definitely consider it as the vital agent or may definitely consider it as the vital agent or promoter of scientific temper in the society. KVK arranges the testing of any improved technology along with farmer’s practice in their field with active participation of both the scientists and farmers, In this methods having scientific approach, improved technologies are tested to compare and verify the results. Till the recent past, the efficiency of KVKs was difficult to measure due to the large number of farmers served by a single KVK largely offline communication between the KVK and farmers. For the reasons, research over the last 25 Years has focused on the capacity of KVKs to make use of ICT for the purpose of a better management of communications with farmers. Plenty of application have been developed, sharing advisors such as weather information and market pricing, supplementing the KVKs communication with its beneficiaries. However, any of these initiatives are of short impact, since the teams at each KVK often do not have the capacity to maintain software applications or because farmers do not find the information useful. In 2016, Indian government launched Krishi Vigyan Kendra Portal to provide the information and advisory to the farmers and facilitate online monitoring of the KVK activities. At this portal, major events are reported on regular basis and reports are submitted online on monthly basis. This portal provides the information of future plans and programmes of KVKs which benefits farmers, entrepreneurs and youth in joining different training programmes by KVKs. Visitors can give their feedback on the content of the portal and programmes of KVKs. This component helps in order to improve the objectives of the portal and KVKs.